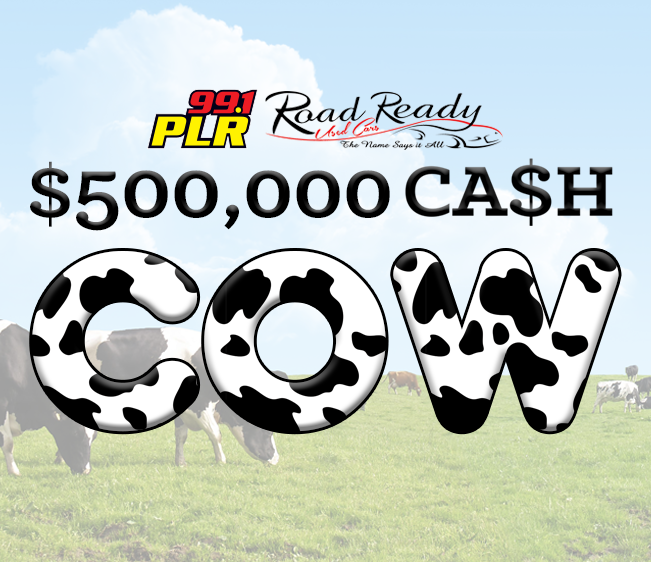 Listen weekdays at 9am, 1pm, and 4pm for the 99.1 PLR Road Ready Used Cars $500,000 Cash Cow! Listen for us to tell you a word, text it to 40772, and you could win $200. Everyone who wins the $200 is in the running for $500,000!